Individuals with heterozygous activating mutations of the KCNJ11 gene encoding a subunit of the ATP-sensitive potassium channel (KATP) can usually be treated with oral sulfonylurea (SU) pills in lieu of insulin injections. The aim of this study was to test our hypothesis that younger age at the time of initiation of SU therapy is correlated with lower required doses of SU therapy, shorter transition time and decreased likelihood of requiring additional diabetes medications. We performed a retrospective cohort study using data on 58 individuals with neonatal diabetes due to KCNJ11 mutations identified through the University of Chicago Monogenic Diabetes Registry (http://monogenicdiabetes.uchicago.edu/registry). We assessed the influence of age at initiation of SU therapy on treatment outcomes. HbA1c fell from an average of 8.5% (69 mmol/mol) before transition to 6.2% (44 mmol/mol) after SU therapy (p < 0.001). Age of initiation of SU correlated with the dose (mg kg−1 day−1) of SU required at follow-up (r = 0.80, p < 0.001). Similar associations were observed across mutation subtypes. Ten participants required additional glucose-lowering medications and all had initiated SU at age 13 years or older. No serious adverse events were reported. Earlier age at initiation of SU treatment is associated with improved response to SU therapy. Declining sensitivity to SU may be due to loss of beta cell mass over time in those treated with insulin. Our data support the need for early genetic diagnosis and appropriate personalised treatment in all cases of neonatal diabetes. The list of members of the United States Neonatal Diabetes Working Group is shown in the Acknowledgements. The online version of this article (doi: 10.1007/s00125-015-3593-9) contains peer-reviewed but unedited supplementary material, which is available to authorised users. Activating heterozygous mutations in KCNJ11 and ABCC8 genes encoding the two subunits of the ATP-sensitive potassium (KATP) channel are the most common causes of diabetes in the first months of life [1, 2, 3]. KCNJ11 mutations most commonly cause permanent neonatal diabetes. Identifying individuals with heterozygous activating mutations of this gene is of significant clinical value as oral sulfonylurea (SU) treatment can routinely replace insulin therapy with improvement of glycaemic control [1, 4, 5, 6, 7, 8]. KCNJ11-related neonatal diabetes may be distinguished from other monogenic or autoimmune forms of diabetes through targeted genetic testing [5, 7]. Mutations in KCNJ11 can disrupt the KATP channel to varying degrees and result in a broad range of phenotypes. Clinical severity ranges from isolated transient neonatal diabetes to the most severe cases affected by neurodevelopmental disability, seizures and insensitivity to SU treatment [1, 4, 8, 9, 10, 11]. Data is limited on which factors may influence the degree of success with SU treatment. Using data from our large cohort of rare individuals with neonatal diabetes from the University of Chicago Monogenic Diabetes Registry (http://monogenicdiabetes.uchicago.edu/registry), we assessed the influence of age at initiation of SU therapy on treatment outcomes. Upon receiving approval from our institutional review board, we identified and consented study participants with heterozygous activating mutations of KCNJ11 causing permanent neonatal diabetes through the University of Chicago Monogenic Diabetes Registry (http://monogenicdiabetes.uchicago.edu/registry). Longitudinal information regarding the diagnosis and treatment of diabetes, other medical problems or complications, family history and genetic testing results was collected through surveys and medical records between August 2006 and August 2014 . All registry participants were asked to complete a comprehensive initial survey and shorter follow-up surveys that gathered information on current weight, SU and other diabetes drug doses, HbA1c levels, blood glucose testing and hypoglycaemia information, as well as possible treatment side effects and other medical problems. Our survey asked specifically about side effects that could be associated with SU therapy including hypoglycaemia, yellowing of the teeth, diarrhoea, upset stomach, vomiting, weight loss or poor weight gain, abnormal or rapid weight gain, rash, anaemia, leukopenia, elevation of liver function tests, ischaemic heart disease, angina, arrhythmias, kidney disease and electrolyte abnormalities. We included individuals with permanent neonatal diabetes due to a KCNJ11 mutation who attempted to transition to SU monotherapy in lieu of insulin. We excluded individuals who had transient neonatal diabetes (n = 16) as well as two participants with severely activating mutations (G334D and C166Y) who were completely unresponsive to SU treatment based on undetectable C-peptide levels after achieving a dose of at least 1 mg kg−1 day−1 of glibenclamide (known as glyburide in the USA and Canada) [13, 14, 15]. Six participants were lost to follow-up and were excluded from the study. Key data was collected from participants just before SU was started and at the first available time point at least 3 months after cessation of insulin therapy or achieving a stable glibenclamide dose of at least 2.5 mg kg−1 day−1 (two individuals continued to require a decreased dose of insulin at the last time of ascertainment). Two study participants took an SU other than glibenclamide either in combination with or instead of glibenclamide. The doses for these participants were converted into glibenclamide equivalents . We omitted HbA1c data for patients under 6 months of age as these values are not interpretable due to the persistence of fetal haemoglobin . Focused efforts were made to collect medical records and detailed information from treating clinicians whenever possible, particularly regarding details of the attempted transition to SU therapy. In most cases, we provided advice sought on how to switch from insulin to SU and we recommended following a modified version of a published inpatient or outpatient protocol ; however, all treatment decisions were made on a clinical basis by the supervising clinicians. Genetic testing was completed on a clinical basis by the referring clinicians or through our research at the University of Chicago using DNA isolated from blood or saliva samples. Standard Sanger methodology was used to sequence the protein-coding regions of KCNJ11, ABCC8, INS and other genes causing neonatal diabetes. A paired t test was used to compare HbA1c levels before and after participants had taken SU for at least 3 months. Spearman rank correlation coefficients were calculated to evaluate the relationship between SU dose and age of transition for the data in aggregate as well as for mutation subtypes (R201H, R201C, V59M and all others combined). The Wilcoxon rank-sum test was performed to compare age at transition based on the need for additional drugs. Finally, the association between the age at transition and the time required to complete the transition process was assessed using a Spearman rank correlation analysis. A p value <0.05 was considered statistically significant. Analyses were performed using Stata version 13 (StataCorp., College Station, TX, USA). Data are expressed as means ± SD, n (%) or means (range), unless otherwise stated. Table 1 shows the demographic and clinical characteristics of the 58 participants in the Registry with permanent neonatal diabetes due to KCNJ11 mutations. The average age at SU initiation was 7.5 years with a median of 2.6 years (range 0.00–33.6 years). Similar to previous reports of KCNJ11-related neonatal diabetes, our patients had low birthweights, and nearly all were diagnosed with diabetes prior to 6 months of age (one individual was diagnosed with diabetes at 11.5 months of age). Of the 58 participants with SU-responsive permanent neonatal diabetes due to KCNJ11 mutations, 48 transitioned to glibenclamide monotherapy, while ten required additional medications, including two who continue to require low doses of insulin (Electronic Supplementary Material [ESM] Table 1). This represents the largest published cohort to date of SU-treated patients with KCNJ11-related neonatal diabetes. We evaluated the success of SU treatment based on changes in HbA1c levels just before SU initiation and at follow-up (at least 3 months after cessation of insulin therapy or achieving a stable glibenclamide dose of at least 2.5 mg kg−1 day−1). Among the 38 participants for whom clinically interpretable HbA1c levels both before and after SU initiation were available, there was a significant decrease in HbA1c (mean change −2.2%, SD 1.7; p < 0.001). Mean HbA1c before SU was 8.5 ± 1.8% (69 ± 19 mmol/mol) while mean HbA1c was 6.2% ± 1.0% (44 ± 11 mmol/mol) at follow-up; 81.6% of participants had HbA1c levels below 7.0% after transition. We next examined the association between the age at initiation of SU and the dose of SU at follow-up (Fig. 1). We found a statistically significant correlation between increasing age and increasing dose of SU (r = 0.80, p < 0.001). In order to determine a possible influence of specific mutation type, we repeated a similar analysis of the most common mutation subtypes including R201H, R201C and V59M and found similar, statistically significant correlations in each case. Using Spearman rank correlation analysis we found that participants who initiated SU at a later age took significantly longer to achieve insulin independence (r = 0.33, p = 0.012). Individuals who initiated SU at a younger age consistently succeeded in transitioning to SU without the need for additional medications. However, some patients who initiated SU at older ages were given additional medications or insulin in addition to SU by their supervising clinicians to maintain adequate glycaemic control (Fig. 2, p < 0.001). Of those who initiated SU at age 13 years or older, 10/17 required additional medications. Nonetheless, these patients had consistently lower HbA1c levels and/or required lower doses of insulin after attempting to transition (ESM Table 1). Among our cohort of SU-treated KCNJ11 participants, no significant side effects were noted. However, episodes of mild hypoglycaemia were noted in nine individuals; transient gastrointestinal symptoms including nausea, vomiting and diarrhoea were experienced by six participants; yellowing of the teeth by five; and initial concern about poor weight gain was observed in four participants. None of these complications led to a need for hospitalisation, further complications or discontinuation of SU therapy. KCNJ11-related neonatal diabetes can almost always be treated with oral SU therapy in place of insulin . Previous reports suggest that most patients experience improvement with SU, but the reasons why some have more trouble achieving excellent control and require a highly variable dose of SU have been unclear [2, 18, 19, 20]. Our study establishes a clear relationship between older age at the time of SU initiation with higher SU dose required and greater likelihood of needing additional medications. The tendency for patients who initiate SU later in life to need higher doses of the medication may be because of an age-related loss of beta cells capable of responding to SU. Gregg et al have suggested that the beta cell population is established at a very young age, with decreasing proliferation occurring with increasing age during childhood . Beta cells in KCNJ11 individuals may be more amenable to such an expansion while treated with SU but be less capable of doing so at later ages. Therefore, patients who attempt transition at a later age may continue to need higher doses of SU and possibly adjunctive medications in order to optimise glycaemic control over time. It remains to be seen whether patients who initiated SU at an early age and currently require lower doses will eventually have failure of beta cell function and require higher doses or other medications as they age, although early reports suggest that doses remain stable [20, 21]. An individual case who exhibited sustained efficacy of SU over many decades provides hope that those with SU-treated KCNJ11-related diabetes may not experience the progressive loss of beta cell function that is characteristic of type 2 diabetes . The apparent transitional age cut-off at which participants needed additional medications corresponds to the average age of puberty. We hypothesise that this is no coincidence as several studies have demonstrated increased insulin resistance and greater need for insulin secretion at the beginning of adolescence [23, 24]. Whether or not suboptimal glycaemic control in this age group will improve after puberty remains to be seen; however, several of the participants in our report were beyond the age of puberty. This observation, as well as the findings of others [19, 20], suggests that the pancreatic beta cells in individuals with KCNJ11 mutations will remain responsive to SU therapy, but they may continue to require higher doses. Our results are clinically significant in demonstrating improved glycaemic control in all KCNJ11 participants, not only in those for whom SU monotherapy succeeded but also for those who continued to require insulin or other medications. Given the strong associations with HbA1c, individuals with KCNJ11 mutations and poor glycaemic control are likely to face the same risks of diabetic retinopathy and other complications as other patients with other forms of diabetes [19, 25, 26, 27]. Hyperglycaemia-related complications were rare in our young cohort with only one patient having developed diabetic retinopathy, attributed to his poor glycaemic control prior to transitioning to SU at 24.6 years of age (Subject ID: 0610-3, ESM Table 1). The observed drop in HbA1c (mean and SD) after SU initiation in our participants suggests SU-related reduction in risk of future complications. Indeed, the reduction in costly complications was a powerful contributor to the impressive cost-effectiveness we reported in a model of genetic testing in neonatal diabetes . Limitations of our study include variability in the dose of SU deemed adequate by clinicians treating the patients in our study. The higher SU doses required for individuals with KCNJ11-related diabetes generally exceeds the recommended range for type 2 diabetes, so it is possible that some physicians started additional medications instead of further increasing SU to a dose that may have been successful as monotherapy. Although a standardised protocol for both inpatients and outpatients has been published , physicians may have adapted it according to their preferences. For example, physicians may have felt more comfortable giving higher doses of sulfonylureas to patients who were older, which may have strengthened the correlation between dose and age at SU initiation in our population. Of note, the outpatient transition protocol takes longer than the inpatient protocol, and assignment to one of these protocols was dependent on physician and patient preferences. Consequently, the correlation showing that increasing age at the time of initiation of SU therapy was associated with increased time required to complete the transition process, must be interpreted in the context of the protocol that was used for the transition. Other factors, including the mutation subtype, may play a role in determining dosage requirements and the likelihood of successful transition to SU monotherapy. The importance of not only recognising that an individual has neonatal diabetes but also making a genetic diagnosis is suggested by the variable response to SU therapy among participants with different subtypes of the KCNJ11 mutation. As we continue to follow our patients longitudinally and our database continues to grow, we look forward to learning how other factors such as individuals’ mutation subtype, glycaemic control prior to SU initiation, the use of other diabetes medications, and the dose of SU affect the long-term management of participants with KCNJ11-related neonatal diabetes. 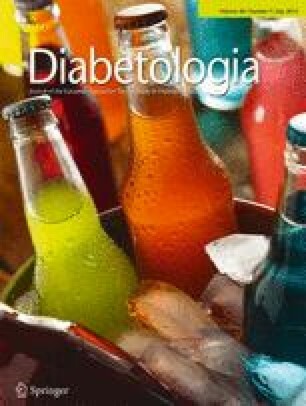 It will also be important to determine to what extent the time between diagnosis of hyperglycaemia and initiation of SU therapy may affect outcomes . Early genetic testing and preparedness to prescribe SU to patients with neonatal diabetes will be instrumental for their success in managing their diabetes over a lifetime. Our study demonstrates that earlier SU administration is associated with the need for lower SU doses to achieve adequate glycaemic control for these participants. By continuing this work we hope to gain a more complete understanding of the management and long-term outcomes of KCNJ11-related neonatal diabetes so that we can better serve this unique patient population. We thank all the patients and their families for their participation in this study. We also thank the members of the United States Neonatal Diabetes Working Group: K. Armour (Sinai Hospital Of Baltimore, MD, USA), J. Atchison (University of Alabama, AL, USA), S. Chalew (Children’s Hospital, New Orleans, LO, USA), Y. Chang (Penn State Hershey Children’s Hospital, PN, USA), F. Cogen (Children’s National Health System, Washington, DC, USA), J. Cohen (The Endocrine Clinic, Memphis, TN, USA), S. Comley (Albany Medical Endocrinology, New York, NY, USA), M. Daniels (Children’s Hospital of Orange County, CA, USA), C. Demirci (University of Connecticut), L. Dolan (University of Cincinnati, OH, USA), R. Edelen (Rapid City Regional Hospital, SD, USA), P. Kaplowitz (George Washington University, Washington, DC, USA), T. Lin (Pediatric Endocrine Associates, Tampa, FL, USA), A. Mohamadi (Chevy Chase, MD, USA), B. Nelson (Greenville Hospital System, SC, USA), R. Nemery (Joe DiMaggio Children’s Hospital, FL, USA), R. Newfield (Children’s Hospital, San Diego, CA, USA), K. Philla (Madigan Army Medical Center, Tacoma, WA, USA), L. Plotnick (Johns Hopkins University, MD, USA), D. Sima (Albany Medical Center, New York, NY, USA), J. Silverberg (Baton Rouge Clinic, LA, USA), M. Swinyard (Primary Children’s Medical Center, South Jordan, UT, USA), S. Ukarapong (Northeastern Ohio Medical University, OH, USA), S. Wentworth (Hendricks Regional Health, IN, USA) and W. Zipf (Central Ohio Pediatric Endocrinology and Diabetes, OH, USA). This work was supported by the University of Chicago Diabetes Research and Training Center (DRTC), which, along with SWG’s K Award, was funded by grants from National Institute of Diabetes and Digestive and Kidney Diseases (DK020595 and K23 DK094866) of the National Institutes of Health, as well as by a grant from the ADA (1-11-CT-41), and gifts from the Kovler Family Foundation and Lewis-Sebring Foundation. BWT drafted the initial manuscript, coordinated and supervised data collection, analysed data and interpreted results. DC wrote the manuscript, helped with data analysis, coordinated and supervised data collection, and interpreted results. ANP, JTD and ECT designed the data collection instruments and coordinated data collection. RNN collected data, and helped with study design and interpretation of results. LHP collected data and helped with study design and interpretation of results. KEW carried out the data analysis. SWG wrote the manuscript, conceptualised and designed the study, coordinated and supervised data collection, provided support and funding, and supervised the study. All authors reviewed and revised the manuscript and approved the final manuscript as submitted. SWG is the guarantor of this work.